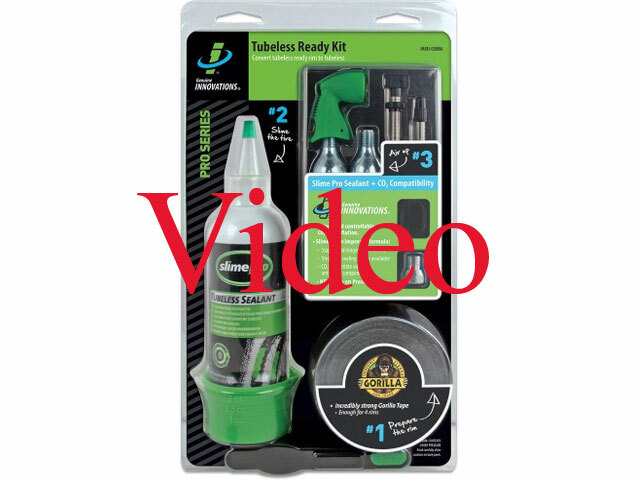 The Ultimate Tubeless Solution! Three of the best brands have come together to offer the ultimate kit to go tubeless! Genuine Innovations’ Microflate Nano and two 20 gram CO2 cartridges offer instant bead locking. 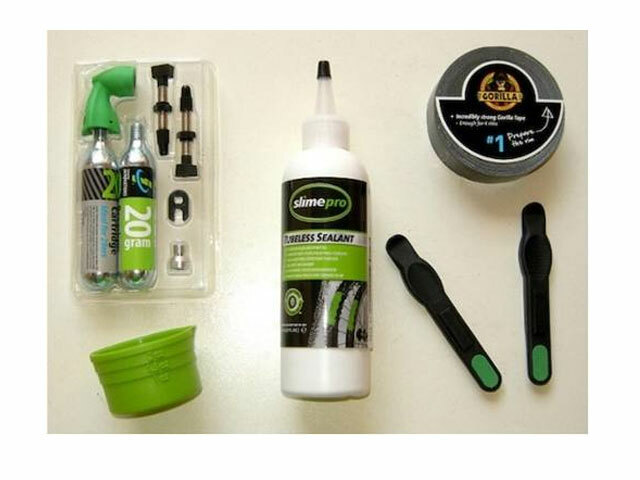 The NEW SlimePro Tubeless Tire Sealant is the longest-lasting sealant available on the market today. We have included the amazing Gorilla Tape that will seal up to 4 rims. Included in the kit you will find two Presta valves with our newly-patented push-on Presta valve adapter, two tire levers and a valve core remover. 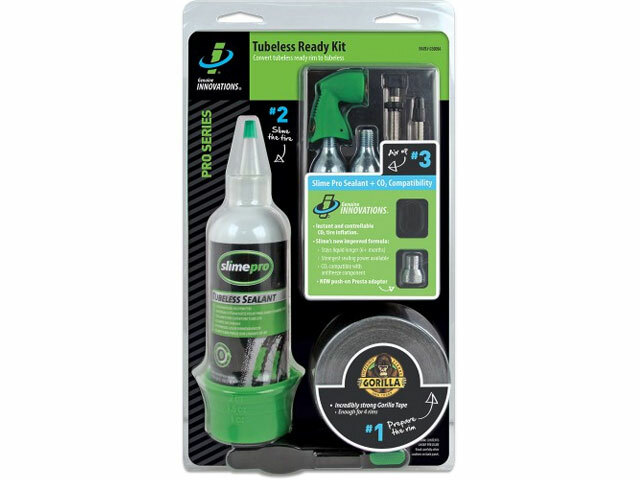 There has never been a better time to go tubeless!